Renowned active adult builder, Del Webb, will be offering new 55+ homes in Texas in 2016. Interested in buying a home in an active adult community in Texas? 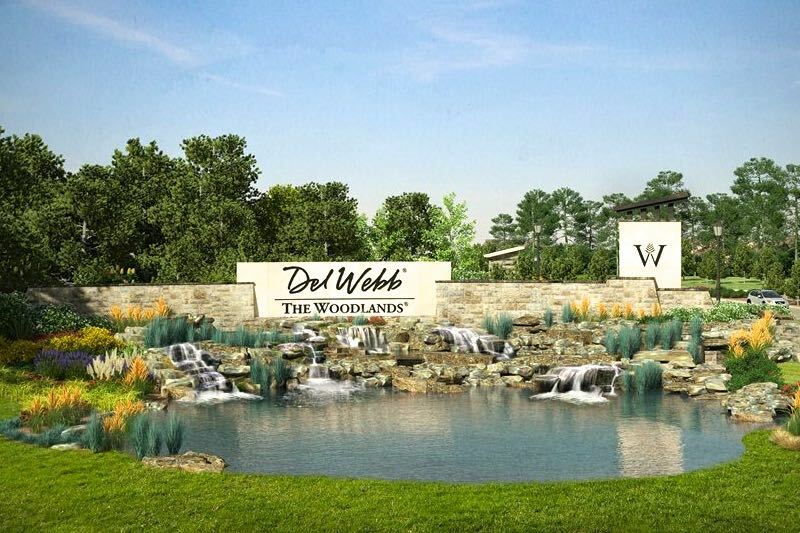 The word is out that popular builder Del Webb is bringing its expertise to construct a new 55+ gated community in the Houston area. Situated in The Woodlands, upon completion there will be about 550 single-family homes, making it a more intimate community than some of the other larger communities. Del Webb is rated one of the top active adult builders in the country. The Woodlands will offer two different series of single-family homes, giving homebuyers a high level of choice. The Classic Series collection is sized from 1,711 to 1,960 square feet and with four different floor plans. Each will have two to three bedrooms, two to three bathrooms and an attached two or two-and-a-half car garage. The Estate Series also has four different floor plans which come with the same number of bedrooms and baths as the Classic Series, but the living space is a bit larger, ranging from 2,327 to 2,604 square feet. Each model has customizable features which will range from house to house. These include open island kitchens, optional mini-suites, loft and storage options, and flex rooms. Central to Del Webb's planned active adult community will be its large clubhouse. When completed, it will have 11,500 square feet of indoor amenity space. Residents can enjoy the fitness center, arts and crafts studio, social lounge, billiards room, card room, catering kitchen and coffee bar. For other gathering purposes there will be multi-purpose meeting rooms. Did we mention there will also be a ballroom? In terms of outdoor amenities, The Woodlands will offer an outdoor pool, spa and patio. Looking for some friendly competition? There will be pickleball and bocce ball courts for friends to gather and play a few rounds. Residents who enjoy communing with nature as they exercise will love the walking and biking trails that travel through scenic parks located on the property. A natural creek also flows through the community grounds. Within all these amenities, there will be many planned activities as well. A full-time activities director will be on-site to plan exciting events for the community members to get to know one another. The Woodlands is a city experiencing rapid growth, and residents will enjoy the convenience of being conveniently located near great shopping, restaurants and entertainment venues. All without the traffic that downtown Houston tends to experience. The community is located just five miles from I-45, making it easy to hit the road for short or long distance travel. The George Bush Intercontinental Airport is located just 30 miles away and William Hobby Airport is 50 miles, adding to The Woodlands' convenience. Del Webb states the community will be opening in 2016 with the first closings occurring in late spring 2016. This is a property to watch. Want to stay updated about this community? Request more information today!